Amazon Hachette dispute: Amazon is making an offer that authors can’t not refuse. That’s the game Amazon is playing with authors and Hachette. After months of wielding the stick, Amazon is trying the carrot—or at least pretending to—in its feud with Hachette over e-book pricing. Early this week, it sent a letter to “a few authors and agents” with a sugarcoated proposal to “take authors out of the middle” of the dispute. So long as negotiations continued, why not have both Amazon and Hachette forgo their revenue and profit from e-book sales, and give 100 percent of the proceeds to the authors until an agreement is reached? This was all a tricky bit of maneuvering by Amazon—think of it as the latest installment in the spirited game of “Stop hitting yourself!” that it’s playing with Hachette and its beleaguered authors. To recap: Amazon is selling titles by Hachette writers—among them James Patterson, Malcolm Gladwell, and Stephen Colbert—at their full list price, delaying shipments, and hiding pre-order buttons for upcoming books. While not relenting on these strong-arm tactics, now Amazon is taking an offer to authors and agents directly: We’re willing to sacrifice part of our interests to help you out—now let’s see if Hachette will do you the same courtesy. Of course, most of that “help” would come from Amazon undoing the restrictions it pressed on Hachette authors and books in the first place. Whether or not Jeff Bezos knew it—and any educated guess is that he did—Hachette was going to decline that proposal. And as Amazon knew well, the authors and agents themselves had no power to take it up on the deal. 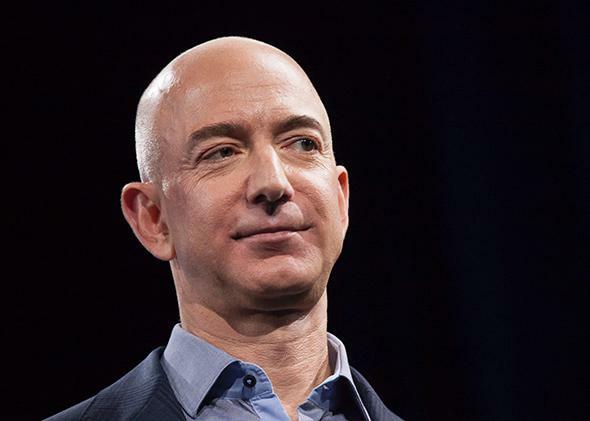 If Amazon has cast itself as a faux-benevolent mob boss, it’s making an offer that authors can’t not refuse. Under existing contracts between authors and publishers, e-book rights are already signed away and payments from sales predetermined. The industry standard is for the online retailer to take 30 percent of sales, while the publisher gets 70 percent. Of the publisher’s cut, 25 percent typically gets paid out to the author. But at no point does the retailer pay the author directly—nor could it without the publisher’s permission and a renegotiation of all the contracts, agents say. Amazon has noted repeatedly that Hachette is not a small, independent publishing house, but rather part of a $10 billion global conglomerate that can presumably afford to take a temporary hit on e-book revenue. “You have to look at the parent company—Lagardère Group,” a spokesperson for Amazon said in a statement. “Kindle books are only 1 percent of Lagardère Group’s sales.” But even if Hachette could take the blow, don’t forget that the way contracts are currently written, authors get a cut of the sales money that goes to the publisher. If Amazon succeeds in forcing Hachette to accept a smaller percentage of e-book sales, that could end up hurting the writers. Of course, there we have the same conflation—the suggestion that authors like Preston can accept or “stand in the way” of an offer that only the publisher, Hachette, has the power to OK. The divide Amazon is drawing between best-selling authors like Preston and midlist and debut authors is an artificial one, as none of them have any real power to decide whether the offer goes through or to reap rewards from it. Eden Lepucki, the debut author of California, got a huge boost from Hachette star Stephen Colbert, whose campaign against Amazon featuring her book sent pre-orders through the roof and made California a Powell’s best-seller. Even those indie and self-published authors who tend to support Amazon and resent big publishing houses admit that they benefit from the high e-book prices Hachette wants, because it makes their titles comparatively cheaper.